Manage your records with printed standard or custom registration forms and folios from Central Business Forms. Hotels, motels, parks, campgrounds and RV parks throughout the country have benefited by using us to create custom registration forms and you can too. 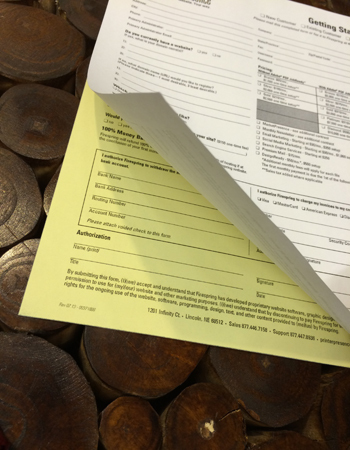 Or you can use our standard registration form templates. There’s an easier way to keep track of your guests and it starts at Central Business Forms, a division of The Business Letter, Inc. Call us at 800-545-4133 or stop in to discuss your registration form needs.